We're well into the driving season as our region calendar can testify. In this issue of Steinlifters learn about the upcoming day-long spring driving tour on June 23, a drive to Elkhart Lake for the Road&Track concours d'elegance in July and a picnic in August. You can also catch up on past events to get a flavor of the variety of fun we have when we get together. In this issue, we also are welcoming several new members and are featuring three members with their stories of Porsche ownership. Safe driving everyone. June 7 - Board meeting, Wisconsin Club Country Club, N. 62nd and W. Good Hope Road, Milwaukee, 6:30 p.m. All are welcome to attend. June 23 - Spring Driving Tour. You and your passenger can spend a day in your Porsche on a follow-the-leader driving tour with other region members. Rest stops and a lunch break are included in the itinerary. Details here. July 8 - 14 - Porsche Parade in Salt Lake City, Utah. The annual gathering of all members of Porsche Club of America. Details here. July 14 - Drive to Elkhart Lake for Road & Track concours on the streets of Elkhart Lake. Al Wagner will lead a driving tour to Elkhart Lake for an evening of great spectating. Optional dinner included at one of Elkhart Lake's nicest restaurants. Details here. Aug. 4 - Picnic. An old-fashioned picnic. Bring your Porsche. Relax with other members. Details here. Aug. 4 - Car show at the VA Center. Bring your Porsche for the veterans living at the Zablocki Medical Center to enjoy in this informal car show. 10 a.m. to noon. More information here. Aug. 10 - Driver education at Road America. Learn to drive your Porsche in a controlled environment on a legendary road course. Details here. Aug. 12 - Autocross at Miller Park. Our region's second autocross event. You'll enjoy a number of timed runs. If you don't want to run but can help with course set up, timing or other tasks, please contact George Kowalski, caymans1021@gmail.com. Dec. 8 - Holiday party. It's not too early (well, it feels like it is), to save the date for a special holiday party. Details here. Kevin Ford joined the region in April with his 1996 Porsche 993 Twin Turbo. He’s the second owner of this black (special paint) beauty with low miles (48,900). It’s loaded with a number of aftermarket high-performance modifications too numerous to list. He connected with the car via a customer referral through Mraz. The car was at MotorCarInvestments in Raleigh, N.C. 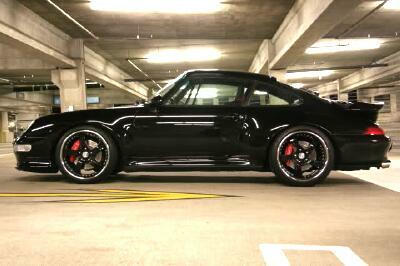 He traded his 1983 Porsche 911SC convertible for the ’96 993 TT. Kevin plans to participate in driver education events and possibly autocross. He’s responsible for the design of packaging for Miller Lite, at MillerCoors. Pete said he’s looking forward to many miles of fun and a chance to connect with club members and see what the club has to offer. Regarding other interests, Pete and Diane and have been researching their family's history and are very active members of the Oak Creek Historical Society. Pete is manager - Customer Service for We Energies. 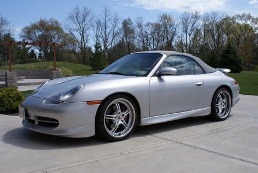 James Balistrieri is a new member with his 2001, 911 (996) that is triple silver and low mileage – 46k. His first Porsche, he’s the third owner of this car that includes modifications such as a full aerokit and cold air intake kit. “I had been searching for roughly two years via all the online resources and local ads. I was waiting for the one that hit me. 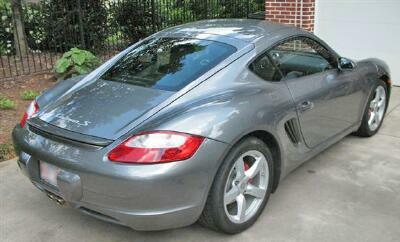 I was considering either a 996 or early 997 and this one showed up one day on AutoTrader,” he said. “Later that night I told my wife I may have found one, she said if it was what I have been looking for go for it. James hopes to get involved in events such as drivers ed, tech sessions, etc. “However with kids and family activities, attendance may be a challenge and limited,” he said. James is a director of sales for a large software company. 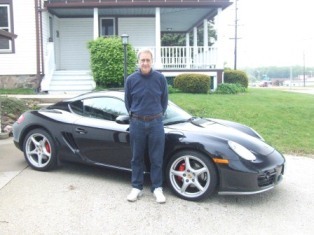 We also welcome Dennis Ruis and his wife Patricia Ruis, Wales, who transferred to Milwaukee Region from Northeast Region with their 2003 Boxster. Cars & Coffee May 2012. Apparently this year, so far, Mother Nature is not a Cars & Coffee fan. April was chilly and gray. May was warmer, still gray and then about 9:30 a.m., the rumble of thunder and a few drops of rain. The droplets sent attendees scurrying to either leave or secure their cars. Several attendees with fairly open cars made a prompt departure. Those who decided to stay headed to the dry showroom where room was made for a 1960s Ferrari. We chatted with those remaining as we looked at the cars inside and listened and watch the heavy thunderstorms outside. Impromptu Brunch May 6. Two-thirds of those planning to attend brunch at Hi-Way Harry's were at Cars & Coffee. When the rain slowed down shortly before 11 a.m. we decided to take advantage of the break and headed for the restaurant in Johnson Creek a bit early. We gained several people but lost a few due to the weather so the reservation stayed intact. Lively conversation included a layman's description of torque, the Milwaukee Masterpiece, driving plans for the season, politics, green cars and our cars. All agreed it was a nice place to meet and would like to do so again. May 25 Driver Education at Blackhawk with the Badger Bimmers. Eight Porsches joined BMWs, Corvettes and a Lotus for a day of driving in a controlled environment on the 2-mile, twisty road course at Blackhawk. Here's a recap. May 27 Autocross at Miller Park. 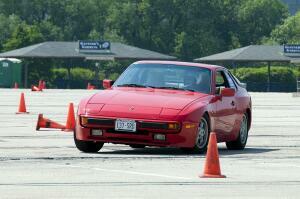 Twenty-one enthusiasts met at Miller Park for the first autocross of the season Sunday, May 27. Five first-time participants joined in the fun as well as a considerable number of spectators. All were challenged by the course Jerry David and George Kowalski designed. Even seasoned campaigners were thrown for a loop more than once. Literally, since the course included a loop in the first half. Individual results will be posted shortly. Thanks to all who attended and to all who lent a helping hand. As always, many thanks to Gary and Renee Messing for their unwavering support and for manning the timing equipment. More photos of the autocross competitors are available here. Paint repair clinic. Now you see the ding, now you don't. Check out the story and some photos from the session held recently at Paintwerks. For the third consecutive year, the Fox Valley Region held its spring waterfalls tour in Upper Michigan, hosted this year by Greg Rigoni. Several members of the Milwaukee region also joined the troupe. 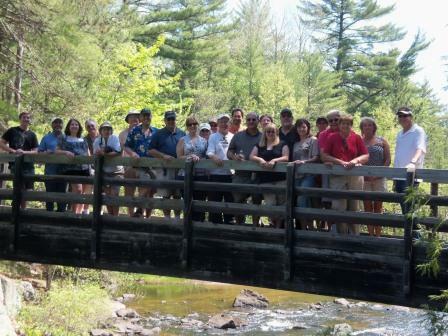 In total, 24 members in 13 cars, spent Saturday, May 20, exploring several of nature's most beautiful natural displays of rock and water formations in the Iron Mountain, Mich., area including Long Slide Falls Morgan County Park and Pier's Gorge on the Menominee River. The weather was sunny with temps in the upper 80s so it was perfect weather for driving our Porsches more than 125 miles on curvy, hilly, back roads. Leaving our cars to explore some of the spectular scenery up close by briefly hiking in the forest was a great way to spend the day with PCA members from across Wisconsin and Michigan. Milwaukee and Fox Valley Region members pose for a group photo at the stop at Dave's Falls near Amberg, Wis.
Porsches rested while drivers and passengers ate lunch mid way through the waterfalls tour hosted by the Fox Valley Region in mid May. Check out the latest classifieds here. April Porsche sales in North America -- best ever. Check out this video about a little known activity in Stuttgart. Parade is coming. It's not too late to join the fun. Read what's in store and register. Questions, ideas? Contact any board member. Region contacts list.